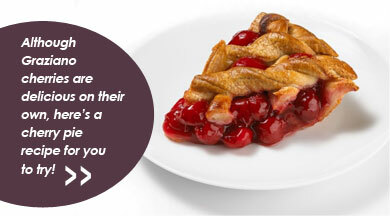 Appearance: There are many varieties of cherries, we proudly grow Lapins, Renier, and Sweethearts. Graziano's Lapins are a large, round, extra-sweet cherry with purple-red flesh and a deep red skin that verges on black when fully ripe. 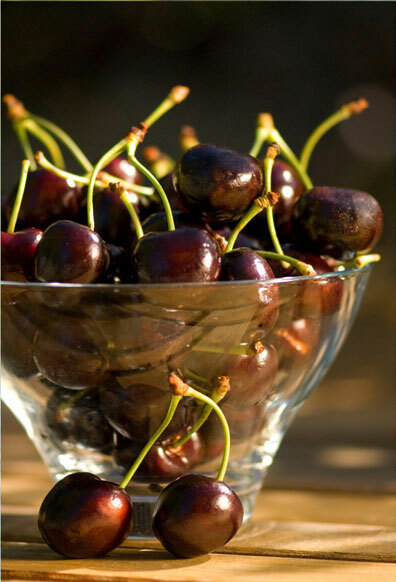 Care and Handling: Cherries do not ripen further after harvest. Handle with care and refrigerate promptly. To freeze cherries, wash and pit fruit, dry, and spread out on cookie sheet. Place sheet in freezer until cherries are firm. Remove cherries from sheet and store in an air-tight freezer bag.